Explore our MANY options below. The staff of the MetaGolf Learning Center believes in a complete approach to game improvement. We recognize your unique characteristics, and that’s why our programs focus on evaluating and enhancing your individual golf game. This is accomplished by addressing all aspects of the game including ball striking, the short game, course management, practice techniques, mental training, golf fitness, and properly fitted equipment. Our goal is for each student to come away with a plan for game improvement that is comprehensive and individually tailored. The MetaGolf Learning Center sets the standard when it comes to golf instruction in the state of Colorado. MetaGolf Learning Center offers a wide variety of programs and academies for golfers of all skill levels. From private instruction, group programs, club fittings, to junior camps, we have something for everyone. For more information on offerings or to register for one of our programs, contact us at 303.799.0870, golf@metagolflc.com or metagolflc.com. Each lesson includes a video analysis of your technique! To book, please call 303.799.0870 or email golf@metagolflc.com. Includes: 45 minutes of relaxed and inviting group instruction, grab your lunch in the restaurant and head back to work. Email sbuccio@englewoodco.gov to sign up for lesson. Lunch options will be emailed to you prior to each lesson. All rounds of golf, range use and lessons must be used and completed by August 30, 2019. Two separate payments will be needed please. One payment will be to the golf course for the golf and range pass and the second payment will be made to Peter Norwood with MetaGolf Learning Center. Lessons must be booked with Peter Norwood at least 24 hours in advance. We've specifically designed these half day workshops to help intermediate to advanced level golfers develop skills needed to lower scores by improving their ball striking, short games, and putting in small group formats, which allows for substantial instruction time at affordable rates. All areas of ball striking, the short game, and putting will be addressed in half day formats. This workshop will cover the most important areas involved in developing higher levels of ball striking: what the clubs should do through impact, developing ball flight control and trajectory control, and important differences between iron shots and driving. The ball striking halfday workshops will include video analysis for participants. This workshop will cover the most important areas involved in developing higher levels of short game skills. The workshop will focus upon developing important essentials in chipping, pitching, lob shots, and bunker shots. The workshop will also include developing skills for situational assessment and proper shot selection. Video analysis may be included. This workshop will cover the most important areas involved in developing a high level of putting ability. The workshop will focus heavily on developing consistent stroke mechanics, developing strength in the area of distance and speed control, as well as touching upon green reading development. Video and Putter system analysis may be included for technique analysis. Women's Group Instruction (4 consecutive weeks of instruction) This covers putting, chipping and pitching, and the full golf swing. 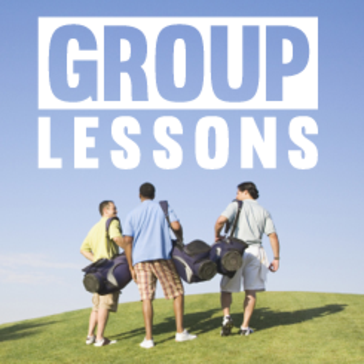 This women's group lesson series is for beginner to intermediate lady golfers. 5:1 Student/Teacher Ratio; Maximum Class Size 10 Students; Minimum Class Size 3 Students. Women's Group Program (Beginner to Intermediate) $149 per person. Thursdays 5:30 - 6:30 pm. Session 1: April. Session 2: May. Session 3: June. Session 4: July. Session 5: August. Session 6: September. Custom Women's Group Program (Custom Formats, Dates, and Times) $149 per person. Can be customized by staff (include video, on-course instruction, etc.) with a minimum of 3 participants. Group programs are offered throughout the Spring, Summer and Fall months. Brand new and Beginner Level golfers can start out with our Get Golf Ready program and progress to join more seasoned golfers in our 1/2 Day Workshops or Customized Group Program. All programs are taught by some of the best teaching professionals in the Denver area, and allow golfers to obtain quality instruction at very reasonable prices. GGR Program: $149/person. Wednesdays 5:30-6:30 pm in April, May, June, July, August and September. Custom Group Program: $149/person. Customized for any Date/Time. Can be customized by staff (include video, on-course instruction, etc) with a minimum of 3 participants. First and foremost, our job at MetaGolf is to make you a better golfer, not sell you a set of clubs. As premier instructors and fitters, we understand how different club characteristics effect your motin and are diligent and precise at determining what you need. We carry no club inventory and sell only custom fitted clubs for two reasons. First, we believe that no golfer is "standard" and each of our clients can benefit from making sure everything about you is fit in your clubs. Second, custom clubs don't cost a penny more than their "standard" counterparts so the two week wait is the only sacrifice you'll have in making sure your clubs are built just for you. In addition to caring about your improvement, we have some of the most advanced fitting technology and tools of any fitter in the country. This make MetaGolf possibly the only location in the state that has all of the finest indoor technology and equipment needed for a great fit, but also offers the opportunity to confirm you ball flight outdoors. On top of the basic shaft analysers, loft and lie machines, and swing weight scales, we currently have the only TrackMan III launch monitor in Colorado, an AboutGolf PGA Tour Simulator and 3Trak Launch monitor, and are the exclusive Colorado fitter for Henry Griffitths golf clubs and Edel custom wedges and putters (with over 3 million combinations). For more information, please visit metagolflc.com or contact MetaGolf Learning Center by phone at 303.799.0870. Driving range balls may be purchased in the Pro Shop (cash) or at the Driving Range (credit card only) 7 days a week. Once the Pro Shop closes at night, the dispenser at the Driving Range will accept credit cards only. Last bucket of balls is sold at 1/2 hour before closing time. For the months of June, July and August, lights will be on until 10 pm. In May and September, lights will be on until 9 pm. October through January is considered off season. Last bucket of balls will be sold 1/2 before closing. EVERY MONDAY ALL YEAR LONG - MATS ONLY ON THE DRIVING RANGE. Starting October 15, range will be MATS ONLY for the offseason. For Driving Range hours during off season, please see Hours of Operation. Driving range balls may be purchased in the Pro Shop (cash) or at the Driving Range (credit card only) 7 days a week. Once the Pro Shop closes at night, the dispenser at the Driving Range will be available and accepts credit cards only. Last bucket of balls is sold at 1/2 hour before closing time. Broken Tee offers one of the best practice facilities in the state, rated "Best Practice Area" by Avid Golfer for 2016 & 2017. The practice area has undergone a redesign and redevelopment courtesy of Dye Designs. Check out this video on the proper divot pattern for the driving range! MetaGolf Learning Center offers a wide variety of programs and academies for golfers of all skill levels. 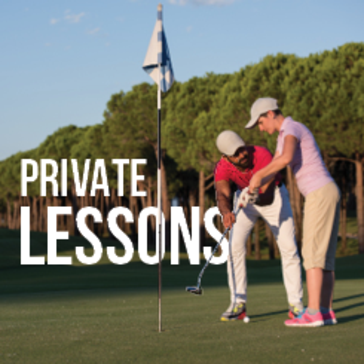 From private instruction, group programs, club fittings, to junior camps, we have something for everyone. Click here! 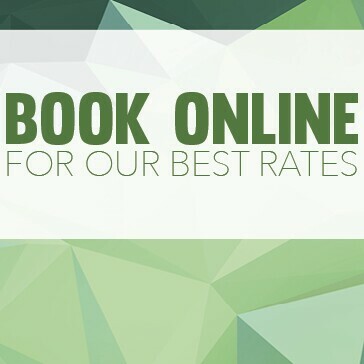 Book on our website and avoid the fees! 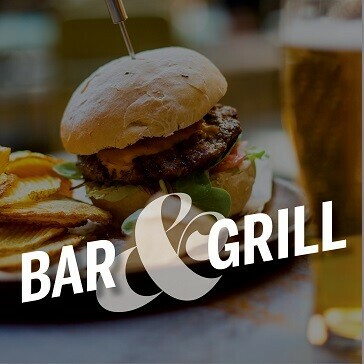 Come relax for a bite to eat! Click here to view our menus.